The Certificate in Public Policy offers public employees fundamental and advanced skills through a series of core classes. These classes provide basic knowledge and skills that enhance the level of data driven decision-making in public service organizations. Many public employees have bachelor degrees in data-driven technical fields but lack the advanced skills in public policy. 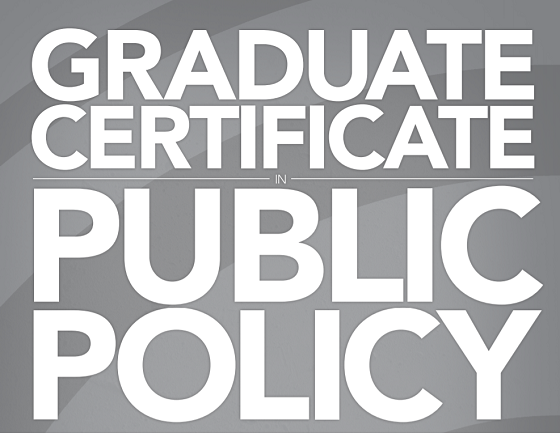 The Certificate in Public Policy uses existing courses in the Master of Public Administration Program to provide a more specific opportunity for public service employees to gain skills, knowledge, and training by completing a short set of classes such as policy analysis, applied research methods, or performance measurement. Upon completion of the certificate, students can apply credits towards the MPA degree. For more information contact Dr. Sara Rinfret.